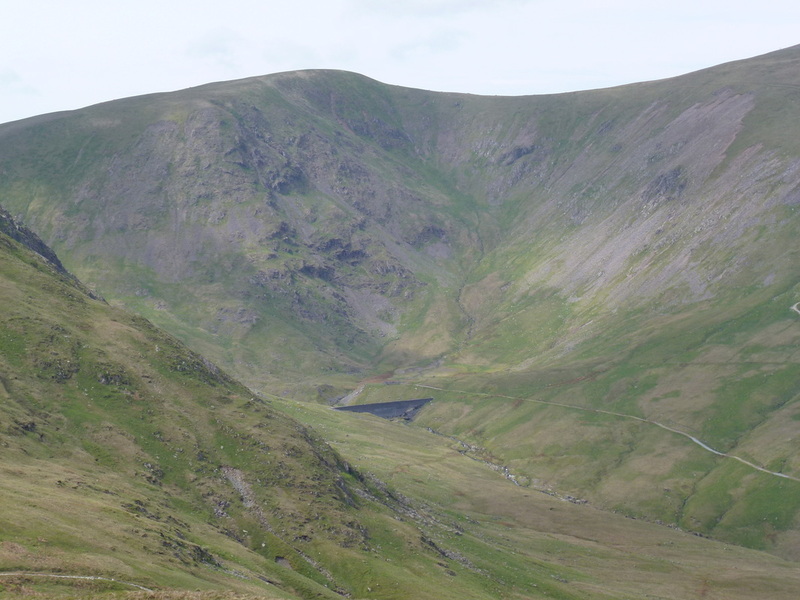 Having just finished The Dales Way we were keen not to get too stiff therefore decided on a drive over the Kirkstone Pass to walk up Catstycam & Birkhouse Moor from Glenridding. 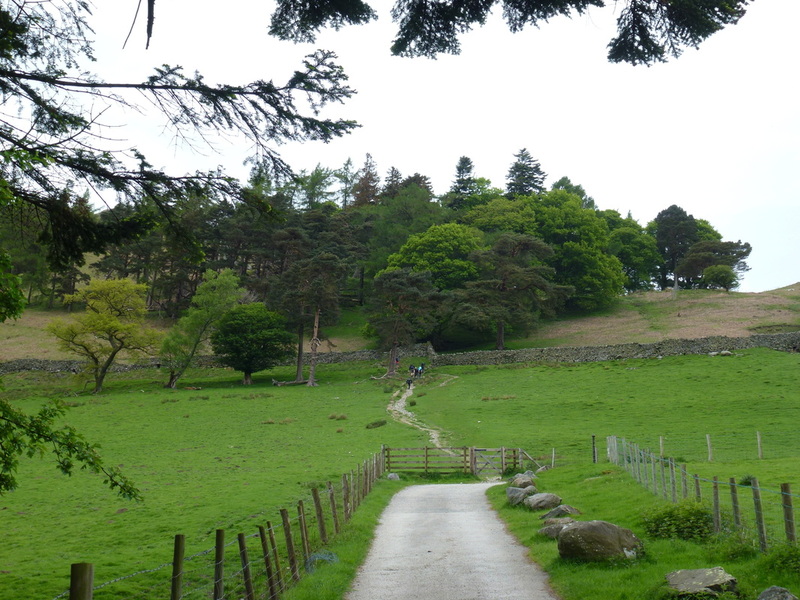 We normally park in Patterdale but it was busy there today therefore drove a bit further and started from Glenridding. 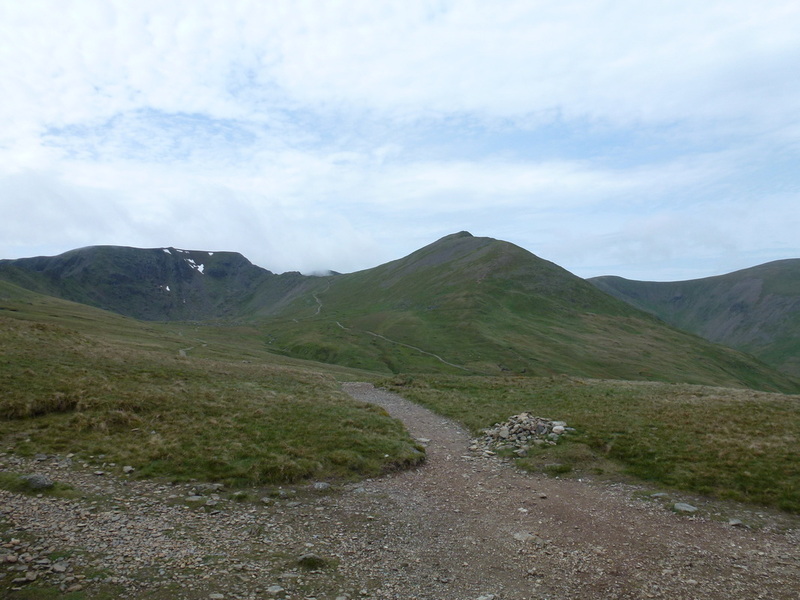 Despite the weather being overcast, the visibility was pretty good and throughout the walk Helvellyn was cloud free which is a rarity in itself. 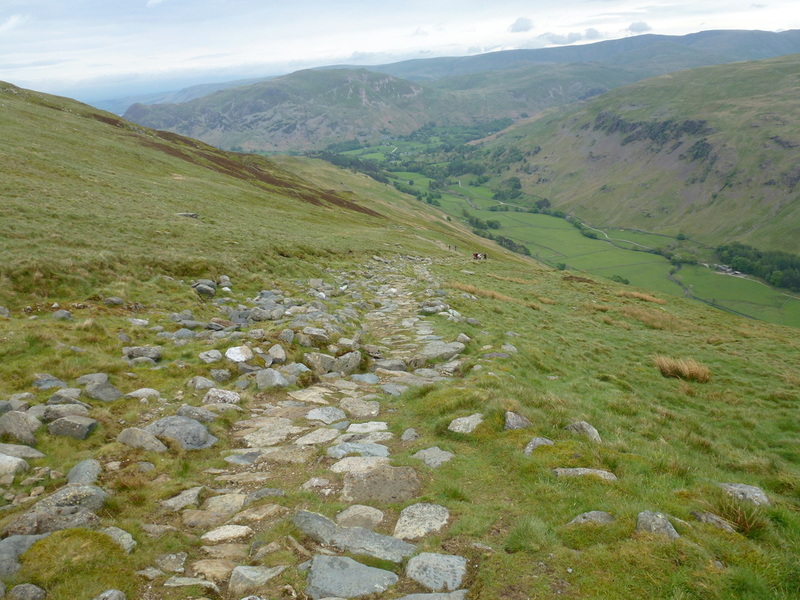 We took our time today as the walk up to the Hole in the Wall is a bit of a trudge but makes up for it with the developing scenery over the Grisedale valley. 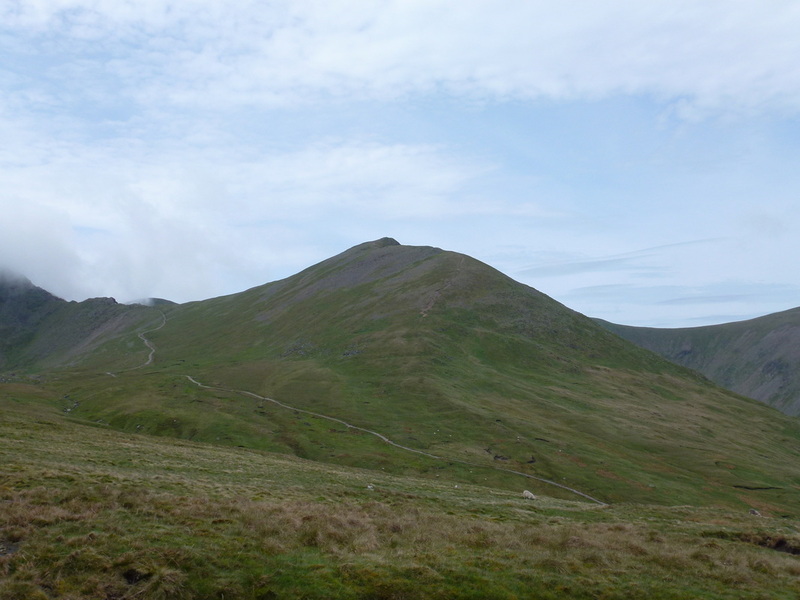 The path was busy with people going over Striding Edge and on to Helvellyn and on reaching the wall we were the only walkers going right to Catstycam rather than left to the Edge. 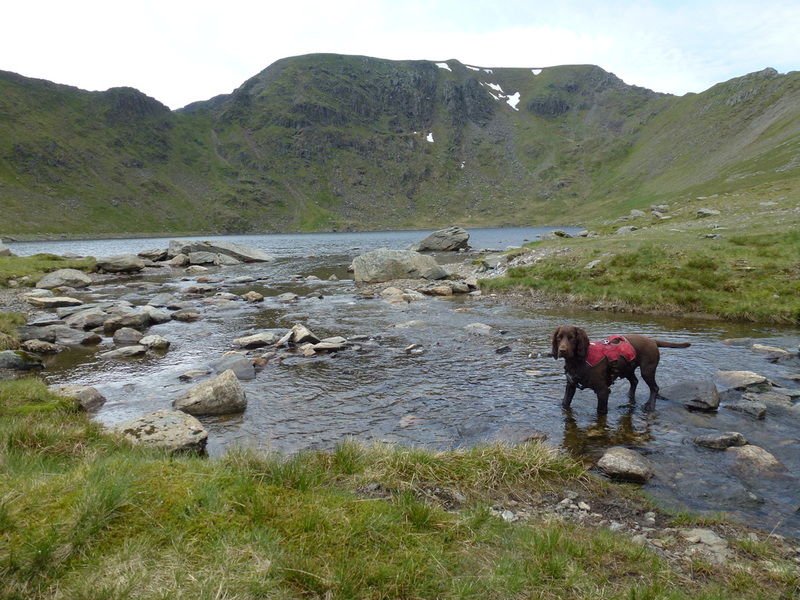 We then headed for Red Tarn which Fudge immediately decided to dive into. 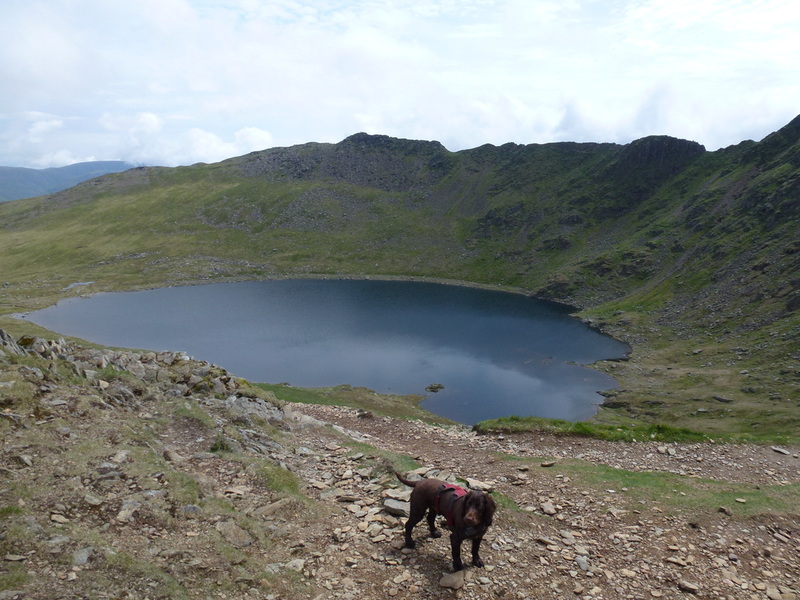 Once he had got his swim out of the way we made our way the short distance over to the path to head up to the Swirral Edge junction. 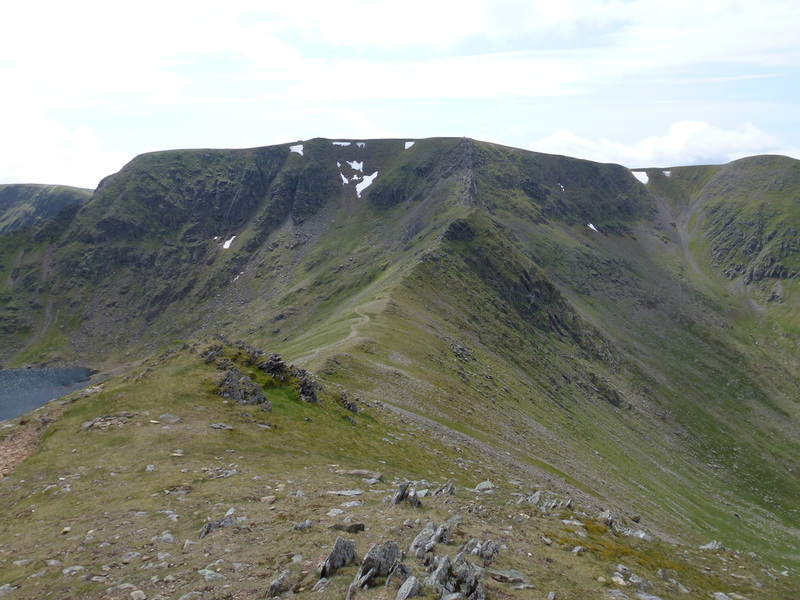 From this point Swirral Edge did not look too difficult a transit but the conditions we had today were fairly benign - when the wind blows and there is ice and snow on the ground it is a different story. 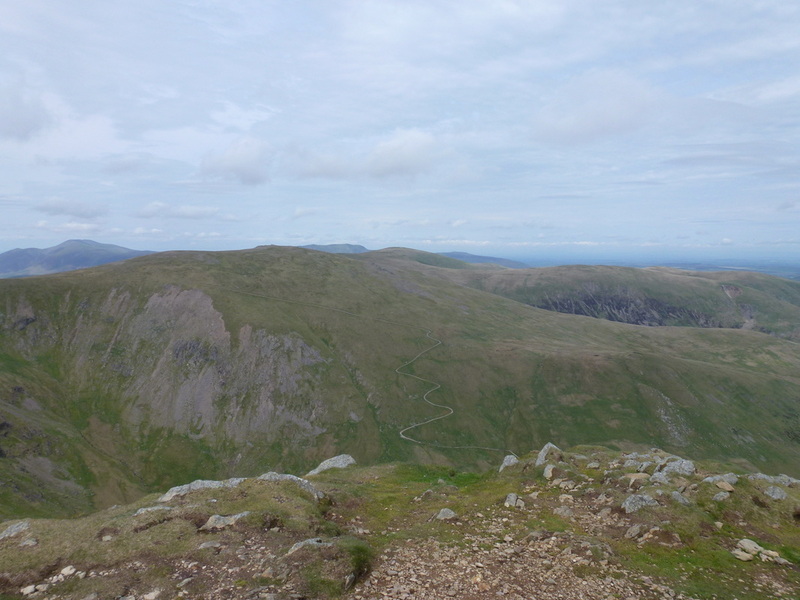 From the junction we had a gentle amble up the incline to the summit of Catstycam. 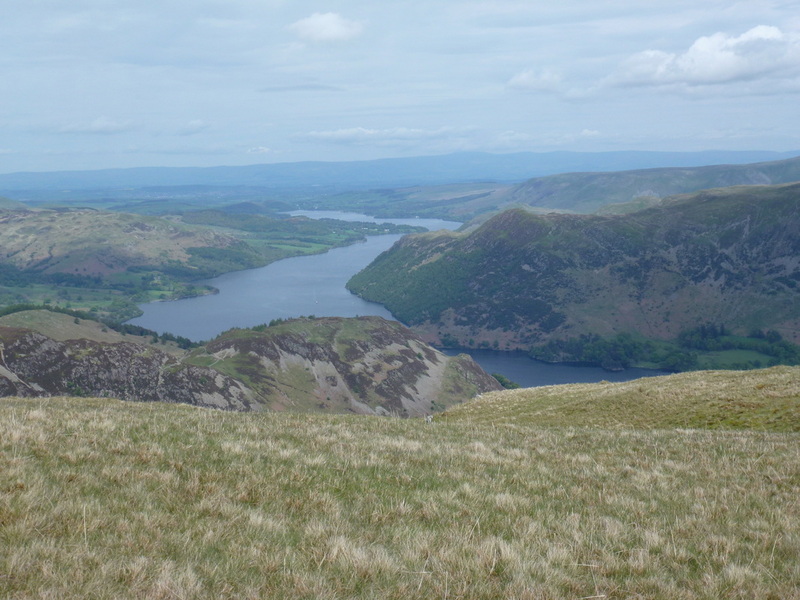 Here there are fantastic views North East to Ullswater where this beautiful lake stretches away up towards Pooley Bridge, Keppel Cove and the breached dam wall plus North over to Raise and The Dodds. 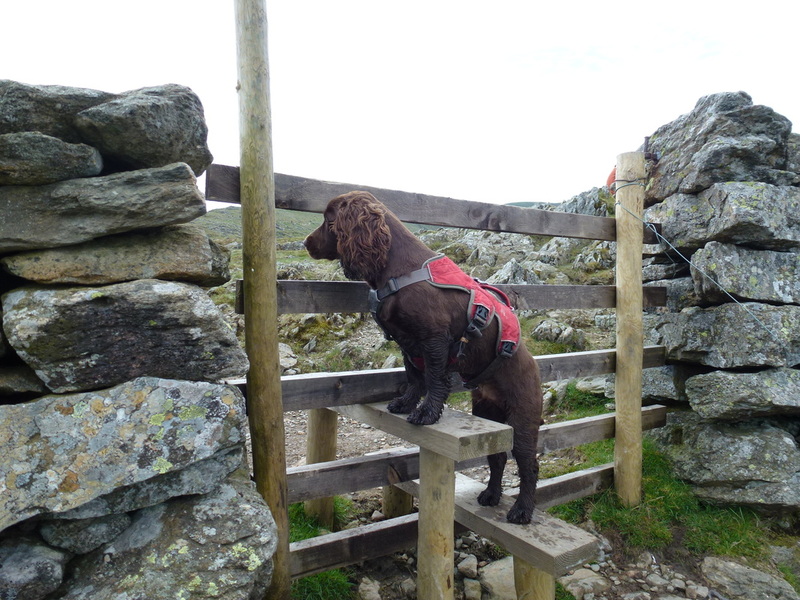 We stayed a while on the summit as nobody else was about and we had it to ourselves. 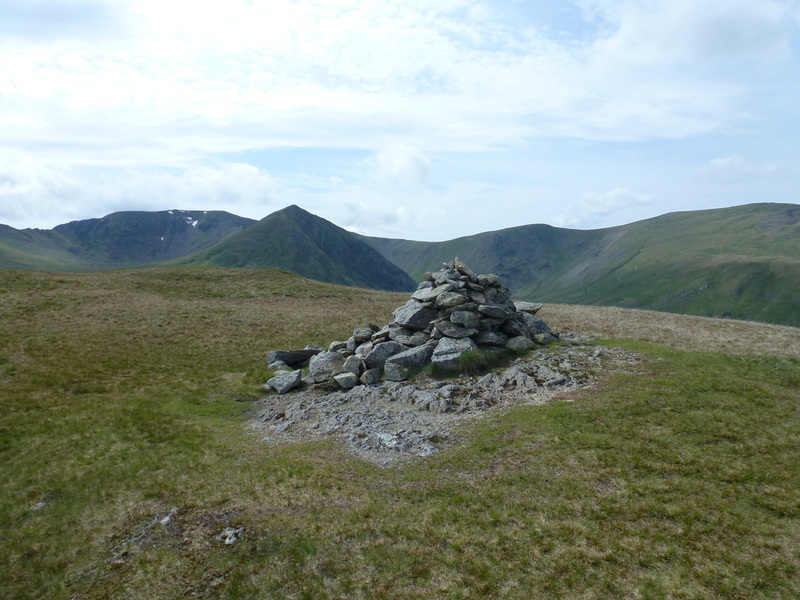 We then made our way back to the path junction and over towards the Hole in the Wall but then took the path sweeping away to the left which heads to the summit of Birkhouse Moor. 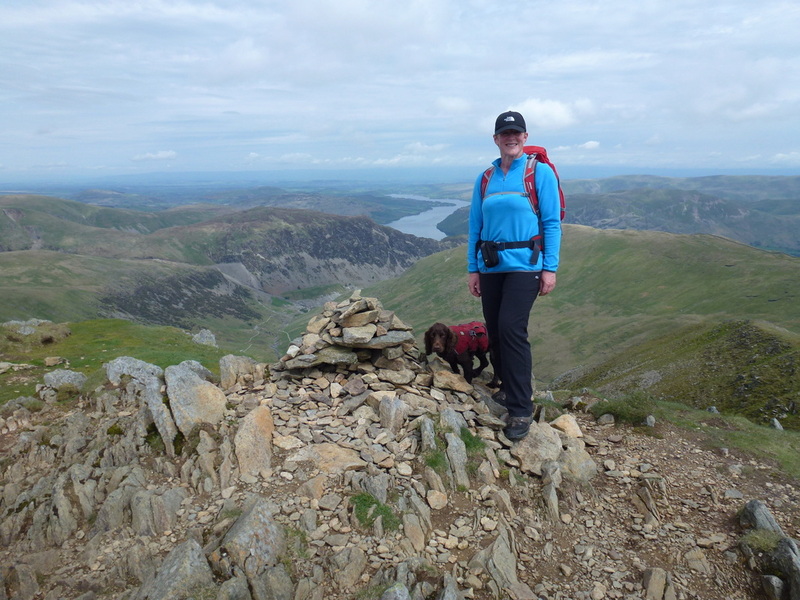 From the summit there was another superb view down over Glenridding to Ullswater. 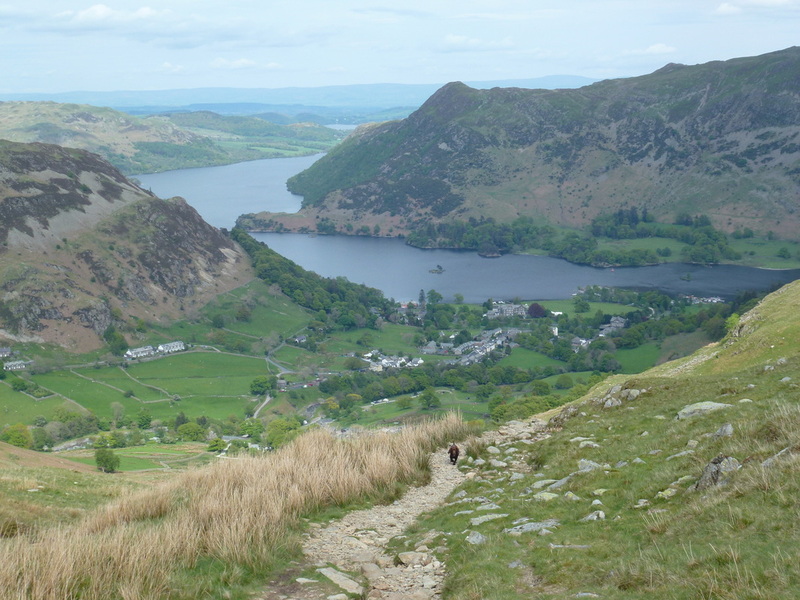 We then made the steep, in places descent down Little Cove to Miresbeck and on to Glenridding. 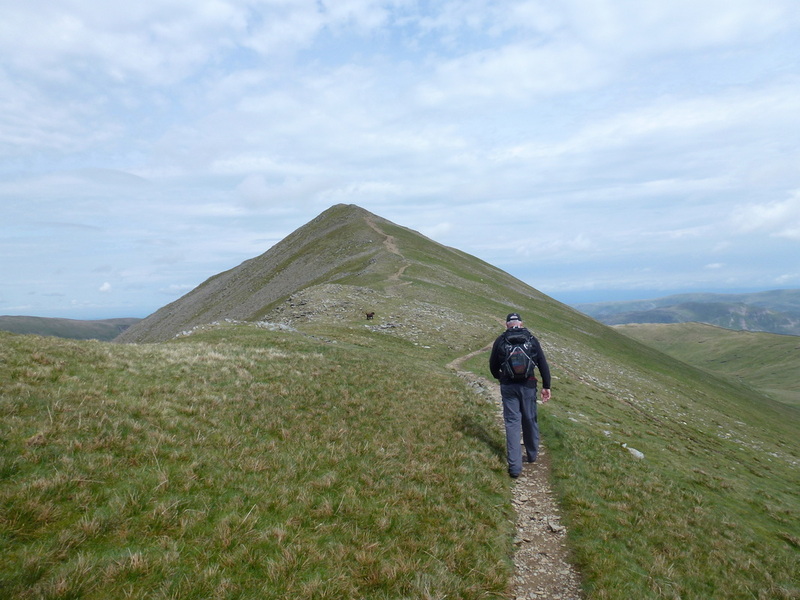 We had been looking forward to walking Catstycam and the route up and down did not disappoint. 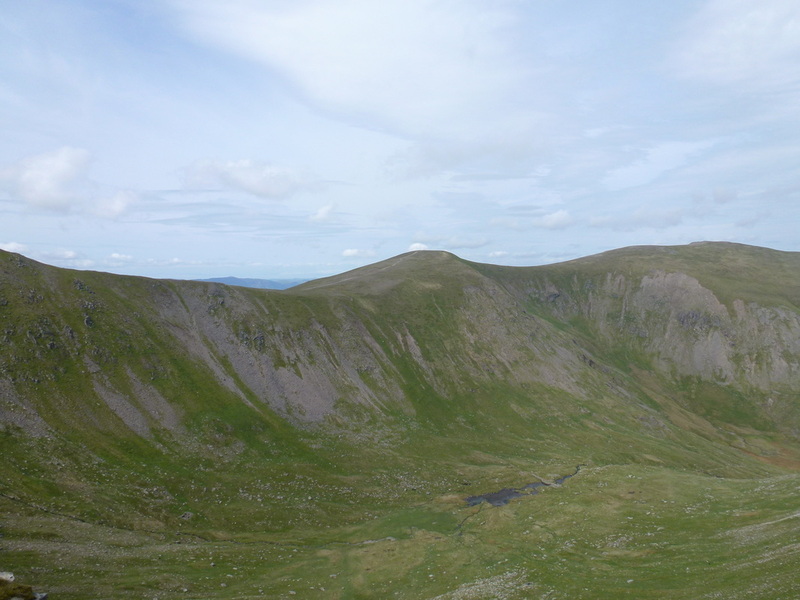 White Side & Keppel Cove. 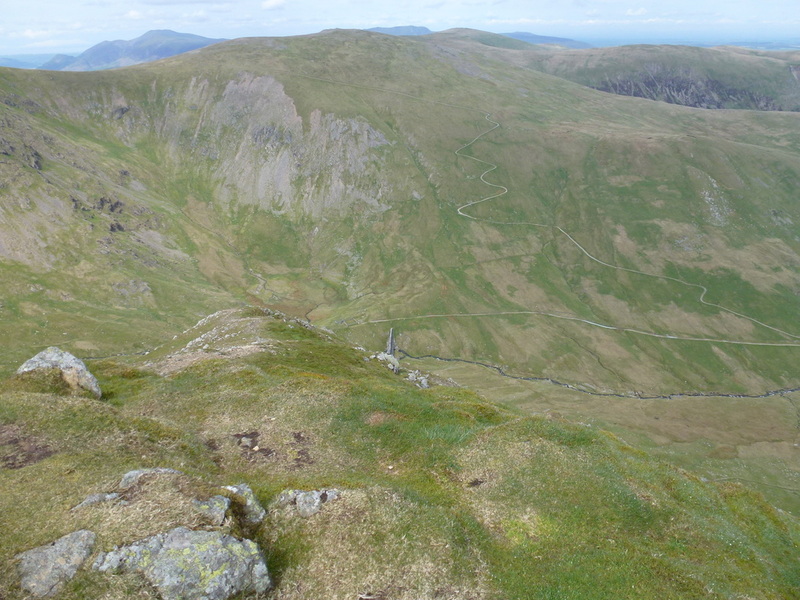 In 1927 a fierce storm washed away part of the embankment releasing the waters of the now dry tarn. 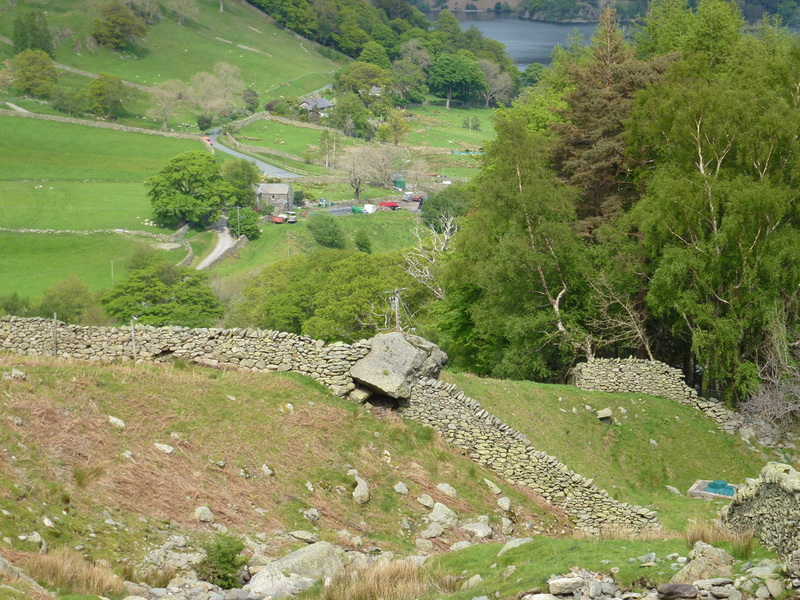 A great flood swept down the valley into Ullswater causing much damage to houses in Glenridding. 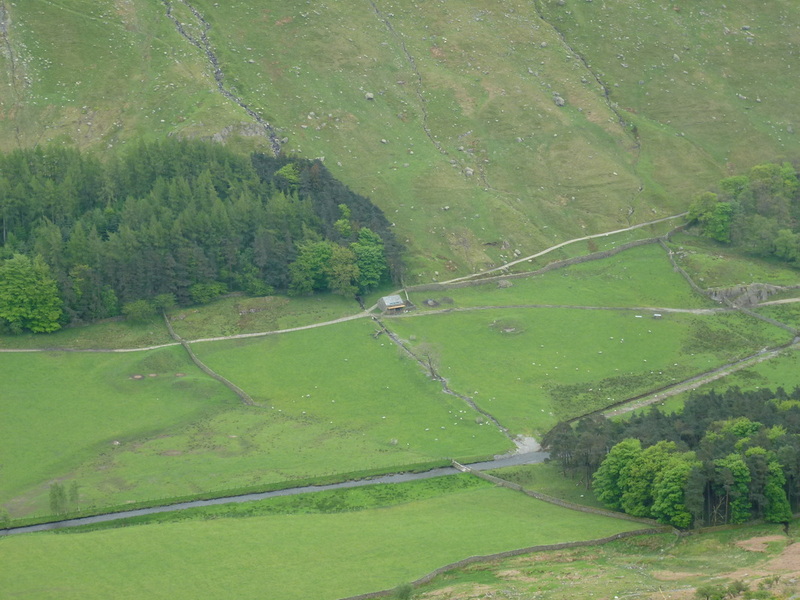 The dam was then replaced with the one in the picture but this was breached in 1931 due to its poor construction - the breach can clearly be seen on the bottom right. 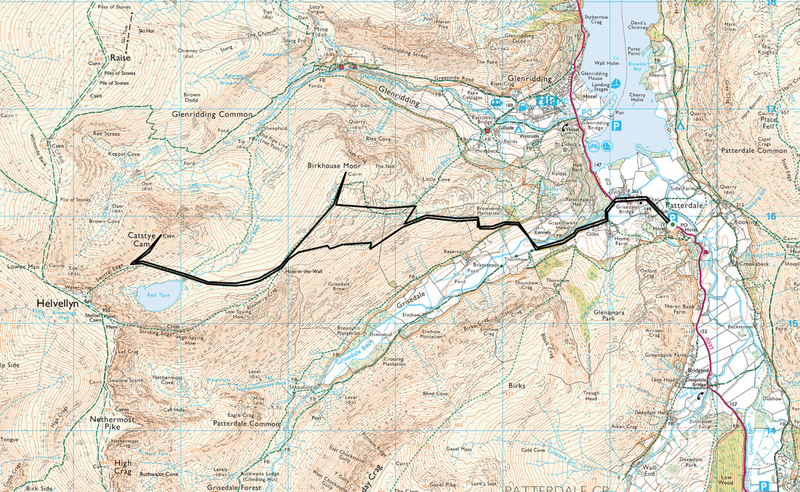 They never bothered to repair it and all that remains of the tarn is a boggy marsh. Don't use small stones - use a big one!! 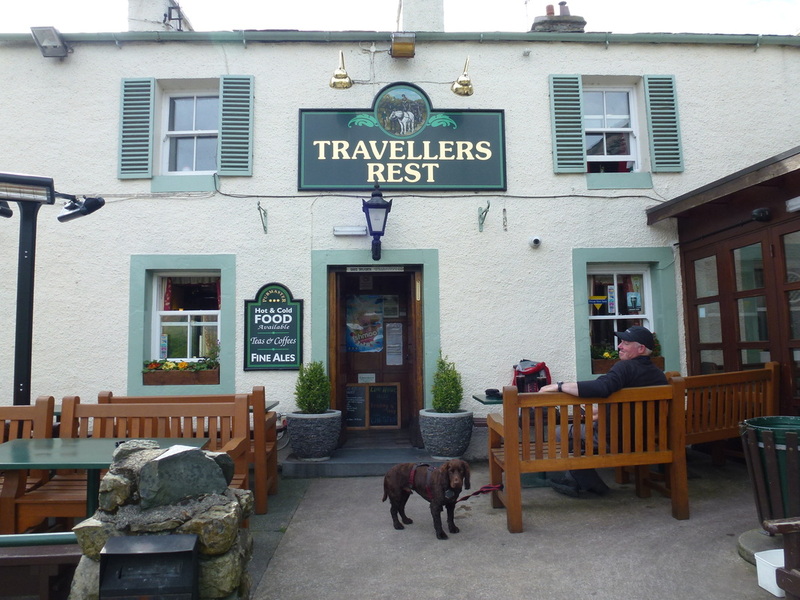 That's better - nothing like an overpriced pint of Diet Coke - view was good though!